This is part one of a three-part series on guiding groups, based on the book 3 Roles For Guiding Groups, by Ken Braddy and David Francis. 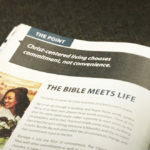 You can secure a free digital copy of this book at lifeway.com. 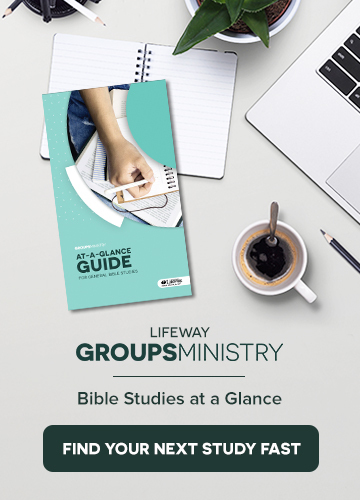 In 2014, I co-authored a book titled 3 Roles For Guiding Groups with LifeWay’s Director of Sunday School, David Francis. We deliberated about the title of the book for a good while. Churches use a variety of terms to describe their systems and processes for making disciples. We carefully chose to use the word “groups” to describe any gathering of people where the primary purpose is to explore, discuss, and apply a portion of the Word of God. Sunday School classes are groups; a small group that meets on a weeknight in a home is a group. We also chose the word “guiding” because it encompasses the terms we use for the three roles. We also chose three terms to define the various roles that group leaders can take in guiding their groups. In the role of Teacher, you guide group members to explore the Bible. In the role of Shepherd, you guide the group to connect with one another in fellowship and ministry. In the role of Leader, you guide the group to be on mission. Perhaps the word “guide” will one day catch on and become a popular title! To some people, the term “teacher” brings to mind an image of a lecturer standing in front of a large class of people sitting in rows of chairs. This kind of teacher tends to speak a lot, while the members of the group sit and listen. When we speak about the role of Teacher, we want to be crystal clear that we don’t mean a lecturer! Talking doesn’t equal teaching any more than listening equals learning. The role of Teacher requires a person to guide the group’s Bible study by actively involving the people in Bible study. A Teacher who is truly fulfilling the role and guiding his group to study and apply the Bible knows that people learn in a variety of ways. As he carefully crafts each Bible study, he constantly asks himself how he will capture people’s attention and generate interest in the study. He is concerned about the activities the group will complete and the questions he will ask to guide discussion. This kind of Teacher believes that the group’s study is more about the group members than it is about him. He believes that most Bible study groups are entirely too passive in their approach to Bible study. A Teacher who guides Bible study has studied Jesus’ example and applies His teaching techniques. Some group leaders feel a little hesitant about trying different methods to communicate God’s Word to their group members. They should remember that Jesus, the Master Teacher, used different kinds of methods when He taught. Sometimes He lectured. He often asked probing questions. He told captivating stories. He often used visual aids like a withered fig tree or something He had written in the dirt. He also used object lessons to provide memorable ways to remember His key points. If Jesus, the Master Teacher, used different methods, shouldn’t you and I? Teachers who guide their group effectively have learned to mimic Jesus’ style of teaching. In part two of this series, we’ll take a look at the role of Shepherd.